Thailand, Day 6 | Hujambo! On a songthaew to Chaweng I met a lady from Manchester who told me of an awesome bookstore in Lamai. 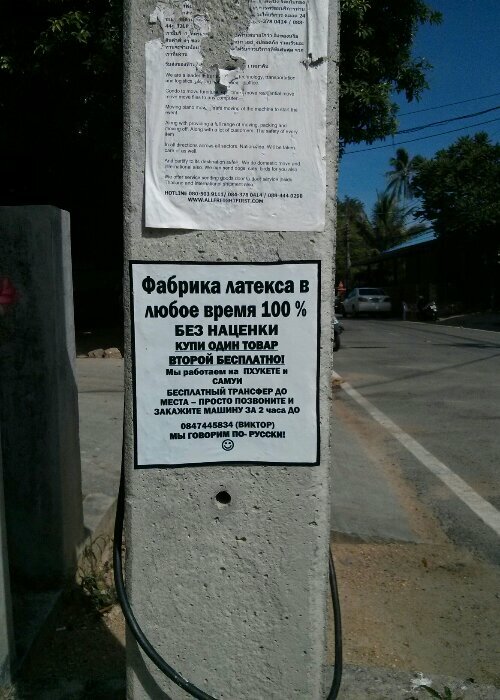 Also, she said Lamai is better than Chaweng so when I got there I jumped straight on a truck to Lamai! 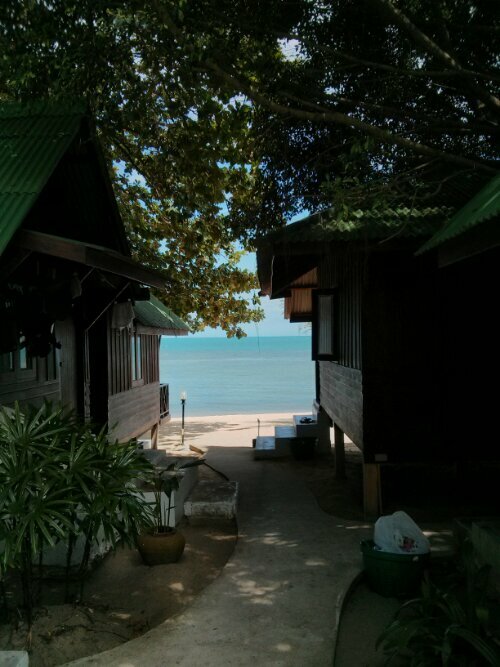 Lamai is awesome — less drunk college kids than Chaweng. 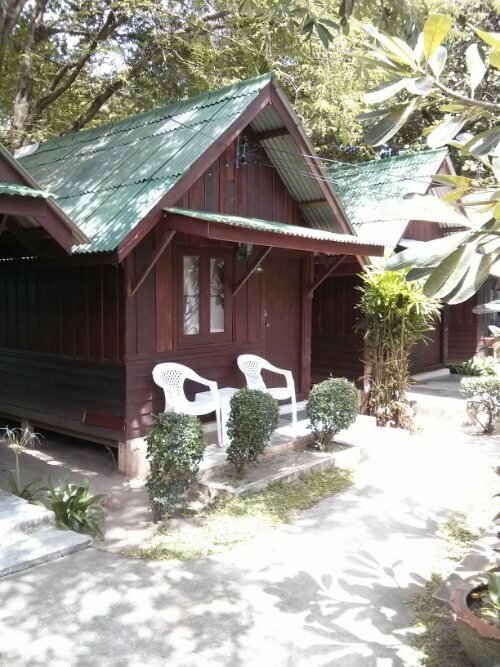 I found a sweet bungalow for 500 baht. Water is much closer, beach is prettier, town is quieter. Island Books, an awesome book store run by an English guy who has been here for 15 years. I bought a copy of Dan Brown’s The Da Vinci Code . We also discussed Thailand, Koh Samui’s transformation, and the likely rise of Myanmar as an upcoming tourist destination which will take away from Thailand. Panang curry with an iced tea, 140 baht. 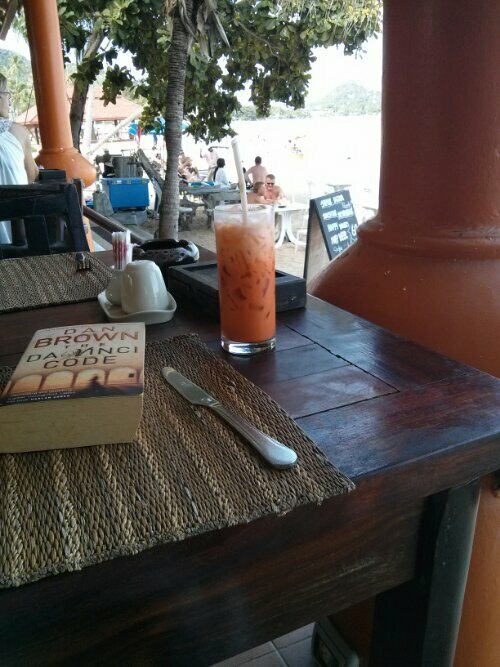 Then walk on the beach for a bit and then read my book while drinking some more Thai iced tea. Swim in the ocean. The water is warm but there are lots of rocks and sharp things. Side note: the island looks beautiful if you swim out 100 meters and look back—the hills are covered in palm trees, very beautiful. 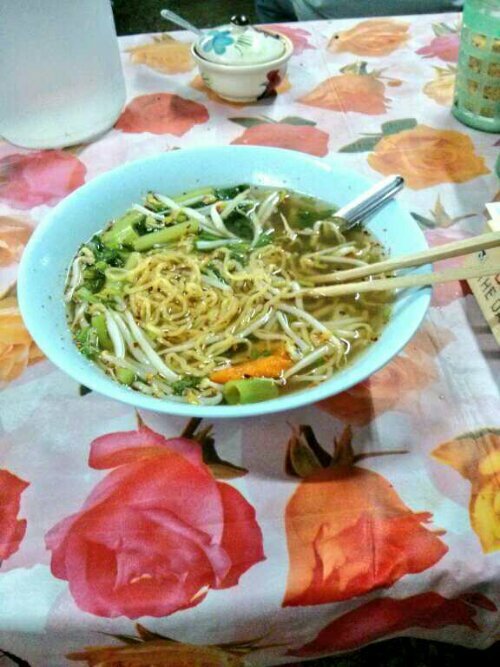 Vegetarian noodle soup. I asked for tofu but that was either lost in translation or they didn’t have any. It was good anyways (and probably healthier as it was just veggies), and cheap. 30 baht. Finish up with a coffee and muffin and reading my new book at Coffee World. They have computers with free Internet access, which was an unexpected bonus!